Mian Raza Rabbani (Urdu: رضا ربانى‬; born 23 July 1953) is a Pakistani politician who served as the 7th Chairman of the Senate of Pakistan from March 2015 to March 2018. He has been elected a senator six times since 1993 from the Sindh Province. He was a close aide to Benazir Bhutto who had appointed him the party’s deputy secretary general in 1997 and leader of the opposition in the Senate in 2005. Rabbani has served as Federal Minister for Inter-Provincial Coordination, Minister of State for Law and Justice, and Leader of the House and Opposition in the Senate. Raza Rabbani was unanimously elected as the Chairman of the Senate of Pakistan in March 2015. Rabbani was born on 23 July 1953 in Lahore, Punjab. in famous Arain Family. He spent his childhood in Karachi. Rabbani received his early education from Habib Public School in Karachi. He received his BA and LLB. (Bachelor of Law) degrees from the University of Karachi in 1976 and 1981, respectively. Rabbani was politically active during his university years at the University of Karachi and was head of Liberal Students Federation in 1974. He is said to have affiliated with Pakistan Peoples Party (PPP) since 1968. He was in jail during the rule of Zia u Haque. when he received his LLB. degree in 1981. He started practising law after the completion of his studies. Rabbani started his political career through PPP in the 1981. He was elected to the Parliament in Pakistani general elections, 1988 and served as an advisor to Chief Minister of Sindh from 1988 to 1990. He was elected to the Senate of Pakistan for the first time in 1993 where he served until 1999. He was inducted into the federal cabinet in 1994 and appointed as the Minister of State for Law and Justice during the second government of Benazir Bhutto where he served until 1996. In 1996, he became the Deputy Leader of the Opposition in the Senate. In 1997, he was appointed as the deputy secretary general of PPP by Benazir Bhutto. He was re-elected to the Senate in 2003 for three years. He remained Leader of the Opposition in the Senate from 2005 to 2008. After PPP won the election in 2008, he refused to become a member of the federal cabinet of Yousaf Raza Gillani due to issues of taking oath from then president of Pakistan Pervez Musharraf. He was re-elected to the Senate in 2006 for six years. He remained Leader of the House in the Senate from 2008 to 2009. After Musharraf left the office of Presidency in 2008, Rabbani was inducted into the federal cabinet with the rank of federal minister and appointed as Advisor to the Prime Minister on Inter-Provincial Coordination where he served until 2009 when he resigned after he was nominated by PPP as chairman of the Senate. In 2011, he was inducted into the federal cabinet with the rank of federal ministerand appointed as the Federal Minister for Inter-Provincial Coordination and Human Rights where he briefly served from February 2011 until his resignation in May 2011. Later he went on to serve as the chairman of the parliamentary committee for constitutional reform and chairman of the Parliamentary Committee on National Security. He was inducted into the federal cabinet and served as Advisor to the Prime Minister from March 2010 until his resignation in February 2011 in protest against Asif Ali Zardari's decision to form a coalition with the PML (Q). He was re-elected to the Senate in 2012 for six years. After the PPP lost the 2013 general election, he was made additional secretary general of PPP by Zardari. In July 2013, he was nominated by PPP as their candidate for the presidential office. Rabbani has been awarded Nishan-e-Imtiaz for his parliamentary services. He is a recipient of Nishan-i-Imtiaz, for his parliamentary work. Despite his disagreements with PPP's leadership, Senator Rabbani was named by the President to be the Chairperson of the Parliamentary Committee on National Security and the Chairperson of the Parliamentary Committee on Constitutional Reform in 2008. His services and credentials led to his simultaneous appointment to the chairmanship of the Beginning of the Rights of Balochistan where he worked on presenting a package to redress the problems of the Balochistan Province to the joint sessions of the Parliament. Despite his recommendations, none of the provisions in the packages would be carried out by Prime Minister Yousaf Raza Gillani who would later entangle with the Supreme Court over the missing persons scandal. In 2003, Rabbani demonstrated his opposition against the Iraq war in 2003, over the issue of its nuclear program. About the atomic proliferation issues, Rabbani criticised the President Pervez Musharraf in the news channels and publicly supported the case of Dr. AQ Khan against President Musharraf. While calling for moral responsibility of nuclear weapons and security, he reportedly marked his words over this issue as the "propaganda against Pakistan in the Western Media about terrorism and nuclear weapons, raising legitimate apprehensions in the minds of Pakistanis." During the height of the United States-Pakistan border confrontations, Rabbani declared to the media about the shift-changing policy of Pakistan as United States' ally and quoted: "We need to prioritize our own national-security interests. As far as the U.S. is concerned, the message that has gone with this resolution will definitely ring alarm bells, vis-à-vis their policy of bulldozing Pakistan." In April 2011, Rabbani also heavily criticised the US over their drone operations in North-Western Pakistan in the Parliament, commenting that United States is following a major violation of international law and human rights. Rabbani has written in support of socialism, communism, constitutional justice, and left-wing ideas. In 2003, he authored a book, "LFO: a fraud on the Constitution", in a direct opposition to President Pervez Musharraf and a scheme of legitimising his rule. In response to insurgency situation in the country, Rabbani reputedly declared that "Politico-religious parties and right-wing political groups are conniving with the establishment to damage and weaken left-wing parties." His statement came during the 2013 general elections, in which, left-wing parties were under immense pressure from the right-wing insurgent groups to limit their political campaigns. Rabbani later accused the international community for supporting the conservative parties in an opposition against the leftist parties. While accusing former president Parvez Musharraf for supporting the ultra-conservative alliance to curb the left-wing parties, Rabbani, with another Marxist Taj Haider, accused the West and the United States of supporting right wing parties for their bid in the elections. 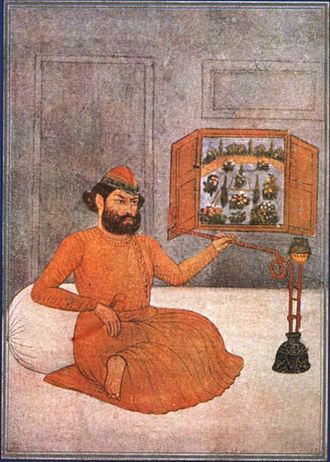 Rabbani, Mian Raza. A biography of Pakistani federalism : unity in diversity. Islamabad: Leo Books. ISBN 9693705505. Rabbani, Mian Raza (2003). LFO : a fraud on the Constitution. Q.A. Publishers. p. 241. Mian Raza Rabbani; Fouzia Saeed; Maliha Hussain. Raza Rabbani : a national hero. Islamabad: Mehergarh Research and Publications. ISBN 9699659084. Rabbani, Mian Raza. Invisible People. Lahore: Sang-e-meel Publications. ISBN 9693530004. ^ a b c d e f g h i j k l m "Profile". 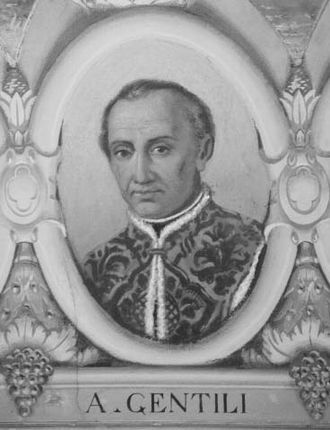 senate.gov.pk. Senate of Pakistan. Retrieved 22 May 2017. ^ a b c "Profile: Hello Mr chairman - The Express Tribune". The Express Tribune. 13 March 2015. Retrieved 22 May 2017. ^ a b c d e f g h i j k l m n o p q "Raza Rabbani — Pakistan's 'Mr Clean'". DAWN.COM. 12 March 2015. Retrieved 25 August 2017. ^ a b c d e f g h i j k l "Profile of Senate Chairman Raza Rabbani". Aaj News. 12 March 2015. Retrieved 22 May 2017. ^ a b c d e f g "Mian Raza Rabbani". DAWN.COM. 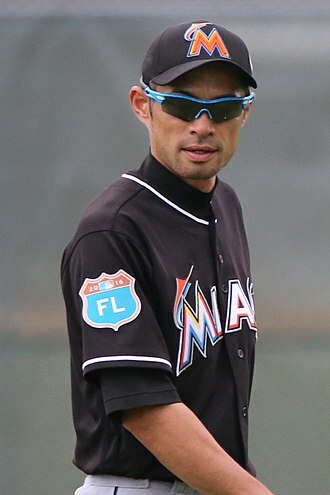 23 April 2013. Retrieved 22 May 2017. ^ a b "An interview with Senator Raza Rabbani:" (PDF). Forum FED. Retrieved 22 May 2017. ^ Paracha, Nadeem F. (23 August 2012). "Born to run: The rise and leveling of the APMSO". DAWN.COM. Retrieved 22 May 2017. ^ "PM appoints Senator Raza Rabbani as Advisor". GEO. 18 March 2010. Archived from the original on 10 October 2012. Retrieved 22 May 2017. ^ "Fahim inducted among 40 new ministers". DAWN.COM. 4 November 2008. Retrieved 22 May 2017. ^ "Raza Rabbani quits cabinet". DAWN.COM. 10 March 2009. Retrieved 22 May 2017. ^ Newspaper, From the (12 February 2011). 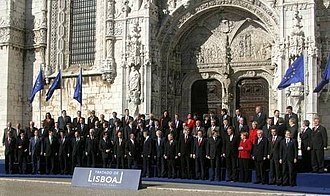 "Some heavyweights left out of 22-member new cabinet". DAWN.COM. Retrieved 22 May 2017. ^ Newspaper, From the (2 May 2011). "Rabbani quits cabinet". DAWN.COM. Retrieved 22 May 2017. ^ "Raza Rabbani nominated PPP presidential candidate". DAWN.COM. 20 July 2013. Retrieved 25 August 2017. ^ Hoodbhoy, Nafisa (2010). Aboard the democracy train : a journey through Pakistan's last decade of democracy. London: Anthem. ISBN 0857289675. ^ Hasnat, Syed Farooq. Global security watch—Pakistan. Santa Barbara, Calif.: Praeger. ISBN 0313346984. ^ a b c Staff Report (25 April 2003). "Opposition seeks resolution of LFO deadlock: Rabbani". Daily Times, Pakistan. Retrieved 26 July 2013. ^ Kabir, Nahid Afrose. Young American Muslims : dynamics of identity. Edinburgh: Edinburgh University Press. ISBN 0748669930. ^ Rabbani,, Mian Raza (2003). LFO : a fraud on the Constitution. Q.A. Publishers. p. 241. ^ a b c GM Jamali (7 May 2013). "Establishment wants right-wing in power: Rabbani". Express Tribune, 7 May 2013. Retrieved 27 July 2013. ^ Ali, Rabbia (30 April 2013). 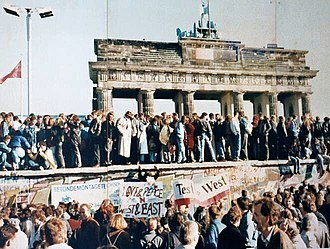 "United we stand: The Left-wing!". TEX. Retrieved 27 July 2013. 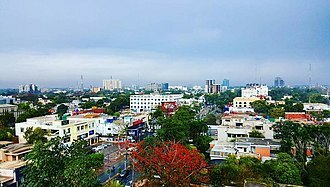 Karachi is the capital of Sindh, and is the largest and most populous city in Pakistan, as well as the 7th largest in the world and the worlds second most populous city proper. Ranked as a world city, the city is Pakistans premier industrial and financial centre. Karachi is Pakistans most cosmopolitan city, though the Karachi region has been inhabited for millennia, the city was founded as a village named Kolachi that was established as a fortified settlement in 1729. By the time of the Partition of British India, the city was the largest in Sindh with a population of 400,000. Immediately following the independence of Pakistan, the population increased dramatically with the arrival of hundreds of thousands of Muslim refugees from India. The city experienced economic growth following independence, attracting migrants from throughout Pakistan. Karachi is now Pakistans premier industrial and financial centre, the city has a formal economy estimated to be worth $113 billion as of 2014. Karachi collects over a third of Pakistans tax revenue, and generates approximately 20% of Pakistans GDP, approximately 30% of Pakistani industrial output is from Karachi, while Karachis ports handle approximately 95% of Pakistans foreign trade. Approximately 90% of the corporations operating in Pakistan are headquartered in Karachi. Up to 70% of Karachis workforce is employed in the informal economy, Karachi is one of Pakistans most secular and socially liberal cities. It is the most linguistically and religiously diverse city in Pakistan, Karachi is considered to be one of the worlds fastest growing cities, and has communities representing almost every ethnic group in Pakistan. Karachi is home to over 2 million Bangladeshi migrants,1 million Afghans, the citys murder rate in 2015 had decreased by 75% compared to 2013, and kidnappings decreased by 90%, with the improved security environment triggering sharp increases in real-estate prices. Karachi was reputedly founded in 1729 as the settlement of Kolachi, the new settlement is said to have been named in honour of Mai Kolachi, whose son is said to have slayed a man-eating crocodile in the village after his elder brothers had already been killed by it. The citys inhabitants are referred to by the demonym Karachiite in English, the earliest inhabitants of the Karachi region are believed to have been hunter-gatherers, with ancient flint tools discovered at several sites. Iraqs military arsenal included weapons of mass destruction starting from 1960s, effectively ending with its near total destruction in the 1990s. Iraq used chemical weapons on multiple occasions, both domestically and in the war against Iran, after the first Gulf War in 1991, the UN Security Council required Iraq to eliminate its chemical and previously unknown nuclear weapon programs under UN verification. Iraq was subsequently accused of having restarted its WMD programs, which was the justification for the 2003 invasion of Iraq by the United States. In the 1980s, Saddam pursued an extensive weapons program. In response to diminishing Iraqi cooperation with UNSCOM, the United States called for withdrawal of all UN and IAEA inspectors in 1998, the 1999 disarmament report by UNSCOM listed large quantities of WMD material that was unaccounted for. The United States and the UK asserted that Saddam Hussein still possessed large hidden stockpiles of weapons of destruction in 2003. In the event of proactive Iraqi cooperation, he said it would take, however, in his May 2003 report to the U. N.
Blix said that his team had made little progress accounting for other materials which Iraq claims to have unilaterally destroyed. The United States asserted this was a breach of Resolution 1441, U. S. -led inspections found out that Iraq had earlier ceased active WMD production and stockpiling. 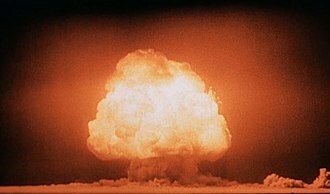 The report found that Iraq had worked covertly to maintain the intellectual and physical capacity to produce WMDs, in 2015 it was learned that Iraqs weapons of mass destruction had not been fully accounted for by UN inspections. 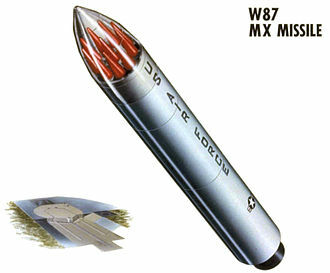 Operation Avarice, headed by army intelligence and the CIA, involved the purchase of the weapons from the unidentified individual to keep them off the black market. 1959 – August 17 USSR and Iraq wrote an agreement about building a power plant. 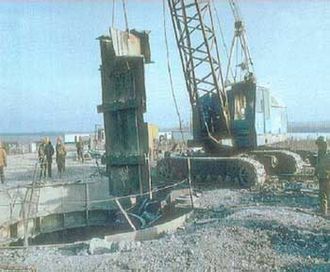 1968 – a Soviet supplied IRT-2000 research reactor together with a number of facilities that could be used for radioisotope production was built close to Baghdad. 1975 – Saddam Hussein arrived in Moscow and asked about building a model of an atomic power station. The British authorities were terrified after revealing the attempted series of revolts against the British Empire, known as Peshawar Conspiracy Cases. After Jinnahs death in 1948, the ideologies and political disagreements began when Prime Minister Liaquat Ali Khan consolidated his position more densely. The Pakistan Socialist Party was the only socialist party of her time, the Socialist Party was generally a secular party which had first opposed the idea of the partition of India. The Socialist Party found it difficult to compete with the conservatives, the PML was led by Prime Minister Liaquat Ali Khan, who wanted to adopt what was called Islamic socialism. Another leftist group was the Socialist Party, the Pakistan Socialist Party was politically isolated with little mass. This was despite its appeal in rural areas. It had around 1200 members and was a member of the Asian Socialist Conference, the Socialist Partys liberal programs were met with harsh opposition which the conservatives labeled as Kafirs. 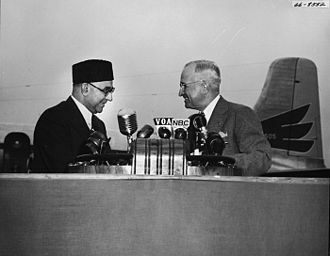 Dismayed with the results of the war, Prime Minister Liaquat Ali Khan survived a conspiracy hatched by the left-wing personalitie. In response to the activist left-wing sphere, Prime Minister Ali Khan succeeded in authoring and drafting the Objectives Resolution, the house passed it on 12 March 1949, but met with harsh critic even from his Law Minister Jogendra Nath Mandal who argued against it. In contrast, the Communist Party was more active, the Communist Party quickly grasped its popularity as it espoused the causes of Pakistans farmers and labourers against the nexus of zamindars, princely class, and landed gentry. The Communist Party, with the support from Awami League, formed a government in East-Pakistan. The class struggle reached to its limit when members of PML, the Communist leader, Hassan Nasir, was repeatedly arrested by the police and died in prison in November 1960. 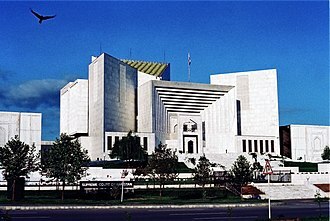 After the martial law in 1958, President Ayub Khan abandoned the parliamentary form in favour of presidential system– a system called Basic Democracy. The Nishan-i-Imtiaz is one of the state organized civil decorations of State of Pakistan. It is the highest honour given to any civilian in Pakistan based on their achievements towards world recognition for Pakistan or a service for the country. The award is not limited to citizens of Pakistan and, while it is an award, it can be awarded to military personnel. The other three descending categories are Hilal-i-Imtiaz, Sitara-i-Imtiaz and Tamgha-e-Imtiaz, usually, it is regarded as the highest award one can achieve in Pakistan since the higher award Nishan-e-Pakistan is awarded only to foreign Heads of States. The award was established in March 19,1957, following the proclamation of State of Pakistan as a Parliamentary republic, the award is the top decoration in the country, given to a person who has accomplished duty beyond what is assigned to him/her. The person has to show eminence and be outstanding in providing excellent service in a significant field of activity and it means that he/she has to prove that he/she has achieved distinction. The award may be awarded posthumously and may be awarded to a more than once. For civilians, it is awarded for distinguished merit, honouring their excellence in their fields of literature, sports, medicine. The award is given to individuals not groups because the whole purpose of the award is to recognise individual excellence. Parliaments committee for the Award and Recognition of Services for the State of Pakistan, select individuals, on advice of the Prime Minister, the President organizes a colorful ceremony that is telecast and broadcast nationally. This award ceremony is held once in a year, nominees are announced on Independence Day, Nishan-i-Imtiaz is awarded to the nominees by the President of Pakistan in a colorful public ceremony. The badge of the Nishan-e-Imtiaz is in the form of pure golden star with light-white enamel, written in gold words around the green emerald, it reads as نشان امتیاز. A golden Jasminum stands between the point of the star and it is worn around the neck with a yellow, bright yellow and white ribbon or bright green and white ribbon with white edge stripes. 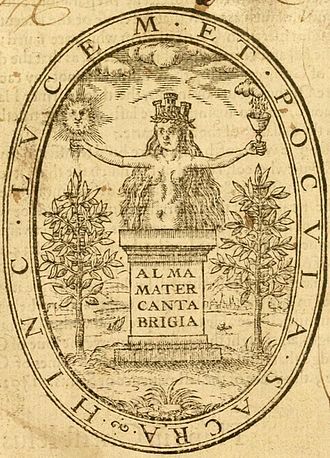 A special grade of the award has an execution of the same medal design worn as a star on the left chest. Pervez Musharraf is a Pakistani politician and a retired four-star army general who was the tenth President of Pakistan from 2001 until tendering resignation, to avoid impeachment, in 2008. Musharraf entered the Pakistan Military Academy in 1961 and was commissioned in the Pakistan Army in 1964, Musharraf saw action in the Indo-Pakistani War of 1965 as a second lieutenant, by the 1980s, Musharraf was commanding an artillery brigade. In the 1990s, he was promoted to general and assigned an infantry division. Later he served as deputy secretary and the director general of military operation. Musharraf rose to prominence when he was elevated to the four-star general, appointed by then-Prime Minister Sharif in October 1998. He led the Kargil infiltration that brought India and Pakistan to a war in 1999. Musharraf became the head of the government while remaining the Chairman of the Joint Chiefs in 2001. Although, Musharraf relinquished the position of chairman of joint chiefs in 2001 and he became the President of Pakistan on 20 June 2001, only to win a controversial referendum on May 1,2002 which awarded him five years of presidency. In October the same year, he oversaw a general election in 2002, over the next several years, Musharraf survived a number of assassination attempts. He reinstated the constitution in 2002, though it was amended with the Legal Framework Order. He saw a process of social liberalism under his enlightened moderation program, while promoting economic liberalisation. He oversaw a rise of in overall gross domestic product at around 50%, however domestic savings declined, more importantly, Musharraf has been accused of human rights abuses. As Shaukat Aziz departed as Prime Minister, and after approving the suspension of the branch in 2007. Upon his return, Musharraf was disqualified from taking part in the elections by High Court judges in April 2013, on 31 March 2014, Musharraf was booked and charged with high treason for implementing emergency rule and suspending the constitution in 2007. His legacy is mixed, his era saw the emergence of a more middle class. Pervez Musharraf was born on 11 August 1943 to an Urdu-speaking family in Delhi and his family belonged to the Sayyid nobility. The JUI led by its leader cleric Fazl-ur-Rahman retained the most of the political momentum in the alliance, but the portion of the leadership comes from the JI. The MMA retained the government of Khyber–Pakhtunkhwa and remained in alliance with PMLQ in Balochistan. The JUI becoming in integral in the government led by the left-wing Pakistan Peoples Party, the MMA conglomeration of distinct Islamist parties that ran under a single banner during the nationwide general elections held in 2002. Islamist movements are defined as those which derive inspiration from the Islamic scriptures, the Quran and Hadith, social science and ethnographic work has proven that Islamism emerges from middle-class lay intellectuals concentrated in urban centers. Overall in the 1990s, the Islamic influence in the politics was limited in the public. The Jamiat Ulema-e-Islam, The party is led by Fazal-ur-Rehman who became known for his vocal and strong support for Benazir Bhutto. The JUI was political influential, more hardline, and traditional stream of thinking – with popular appeal amongst clerics and Baloch of Khyber Pakhtunkhwa, the JUI became an integral in PPP led government formed in 2008–13. Jamat-e-Islami, An Islamist and follower of Maududism ultraconservative party originating from rural areas of Karachi, despite its hardliner persuade and its large portion active in the MMA, the party remains less influential in alliances political shifts. Historically, the support and ties with the Saudi Arabia. Tehrik-e-Jafaria Pakistan, The Shiite and ultraconservative party that played a role in uniting the Shia mass in the support of MMA. 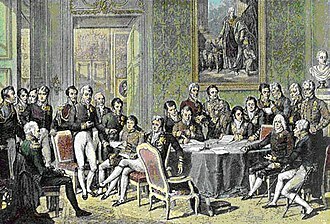 Its political influence was less in the alliances political shifts. Historically, the support and ties with the Iran. Jamiat Ahle Hadith, Although a missionary political party, the JAH deriving itself from the Ahl-al-Hadith movement, in addition, the government exempted the MMA from standard campaign conduct, for their use of loudspeakers, street rallies, and anti-government inflammatory rhetoric was not interfered with. 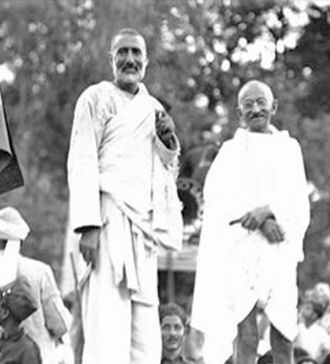 Such a clause restricted the ANP in its strongholds in Khyber Pakhtunkhwa and Balochistan, given the destabilized nature of the PPP and PML-N, the MMA benefited from the ideological bankruptcy, monopolizing on the public’s sentiment towards the U. S.
The Pakistan Muslim League (Urdu, (پاکستان مسلم لیگ ‎ is a right-wing and conservative political party in Pakistan. In the 2013 General Elections, it won a victory in the National Assembly. As a result, Nawaz Sharif became the minister for the 3rd time. It is the party of Balochistan and Punjab provinces. According to PML, Panama Leaks was a conspiracy started by the opposition to dethrone Nawaz Sharif from his seat. One of several continuing factions of the original Muslim League, the party was founded following the 1985 Elections by a conservative politician, after President Zias death in 1988, the party split away from the Junejo-led PML. Soon it formed an alliance with various right-wing and Islamist political parties. The alliance formed a government in 1990 under the leadership of Nawaz Sharif, in 1993, the alliance dissolved and Pakistan Muslim League was re-established, assuming its current shape. Since its foundation, the Pakistan Muslim League, along with Peoples Party, after the 1999 coup, the party was eclipsed by its own splinter faction, the Musharraf-supported Pakistan Muslim League, for almost a decade. The original party, now known as Pakistan Muslim League, however regained popularity in 2008 general elections and it returned to power following the elections of 2013, with Sharif elected Prime Minister for an unprecedented third term. The partys stronghold is the Punjab province, where it has formed provincial government an unsurpassed five times since 1985, thrice under Speed Sharif, according to the International Republican Institute survey conducted in 2012,2013 &2014 it is the most popular political party in the country. After the partition of India by the English Crown in 1947, the All-India Muslim League became the Muslim League, which was now led by Prime Minister Liaquat Ali Khan. After the assassination of Prime Minister Ali Khan, the Muslim League struggled to revive itself, with the Socialist Party, the Muslim League struggled for its survival while facing the Republican Party and Awami League. The martial law in 1958 eventually outlawed the parties in the country. 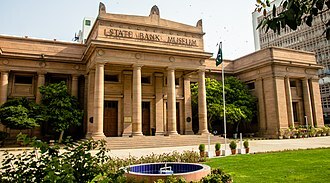 The foundational stone and ground base of the PML lies with the Pakistan Muslim League was founded in 1962, the PML was presided by Fatima Jinnah who actively participated in presidential elections held in 1965 against Ayub Khan. To begin with, it did not include the princely states of Pakistan, which acceded slowly between 1947 and 1948. In 1956 Pakistan was administratively split into the western wing named West Pakistan, in 1971 East Pakistan seceded from the union to become Bangladesh. 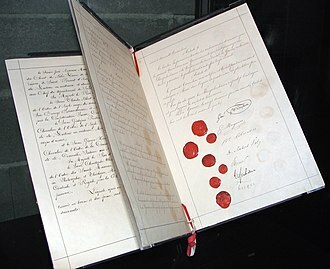 India was treated by the United Nations as the state to the former British India. As it was already a member of the United Nations, India continued to hold its seat there, Pakistan was a newly created nation and needed to apply to join. 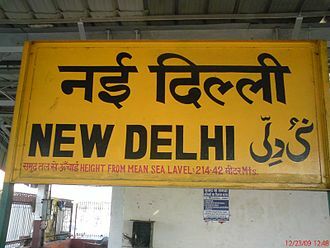 It was admitted as a UN member on 30 September 1947, the dominion began as a federation of five provinces, East Bengal, West Punjab, Balochistan and the North-West Frontier Province. Each province had its own governor, who was appointed by the Governor-General of Pakistan, in addition, over the following year the princely states of Pakistan, which covered a significant area of West Pakistan, acceded to Pakistan. 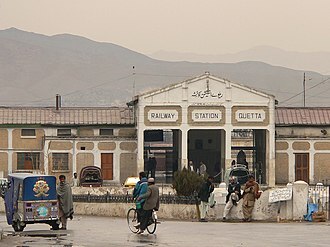 They included Bahawalpur, Swat, Hunza, Makran, the controversial Radcliffe Award, not published until 17 August 1947, specified the Radcliffe Line which demarcated the border between the parts of British India allocated to India and Pakistan. The Radcliffe Boundary Commission sought to separate the Muslim-majority regions in the east and northwest from the areas with a Hindu majority and this entailed the partition of two British provinces which did not have a uniform majority — Bengal and Punjab. The western part of Punjab became the Pakistani province of Punjab, Bengal was similarly divided into East Bengal and West Bengal. The Radcliffe commission had no power to divide the territory of the states of India. However, Pakistan became a republic within the Commonwealth of Nations, the Queen visited Pakistan as Head of the Commonwealth in 1961 and 1997, accompanied by Prince Philip, Duke of Edinburgh. Pakistan left the Commonwealth in 1972 over the issue of the former East Pakistan province becoming independent as Bangladesh. It rejoined in 1989, was suspended from the Commonwealth twice, firstly from 18 October 1999 to 22 May 2004, borders and Conflict in South Asia, The Radcliffe Boundary Commission and the Partition of Punjab. Baghdad Nuclear Research Facility - 10 March 1991. The Tuwaitha Nuclear Research Center, Baghdad, Post-strike. 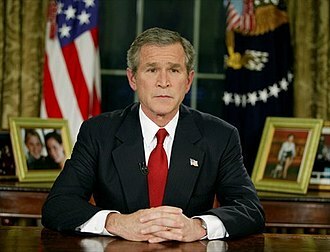 President George W. Bush addresses the nation from the Oval Office, March 19, 2003, to announce the beginning of Operation Iraqi Freedom. "The people of the United States and our friends and allies will not live at the mercy of an outlaw regime that threatens the peace with weapons of mass murder." 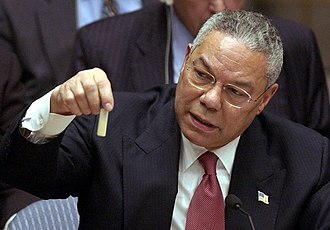 The Senate committee found that many of the administration's pre-war statements about Iraqi WMD were not supported by the underlying intelligence. Nawaz Sharif, the first PML-N Prime Minister. 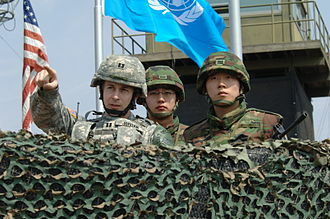 South Korean soldiers and a U.S. Army officer monitor the Korean Demilitarized Zone in 2008. Australian Defence Force, New Zealand Defence Force and US Army personnel conduct medevac training exercises at Camp Taji, Iraq, in 2018. 4-year-old Fraz Wahlah holding Peoples Party flag whilst leading a protest, against Zia ul Haq, shortly before his arrest which made him the youngest prisoner of Movement for the Restoration of Democracy. American Vice President and Democratic Party leader Joe Biden meeting with the integral leadership of the PPP in Islamabad, 2011.